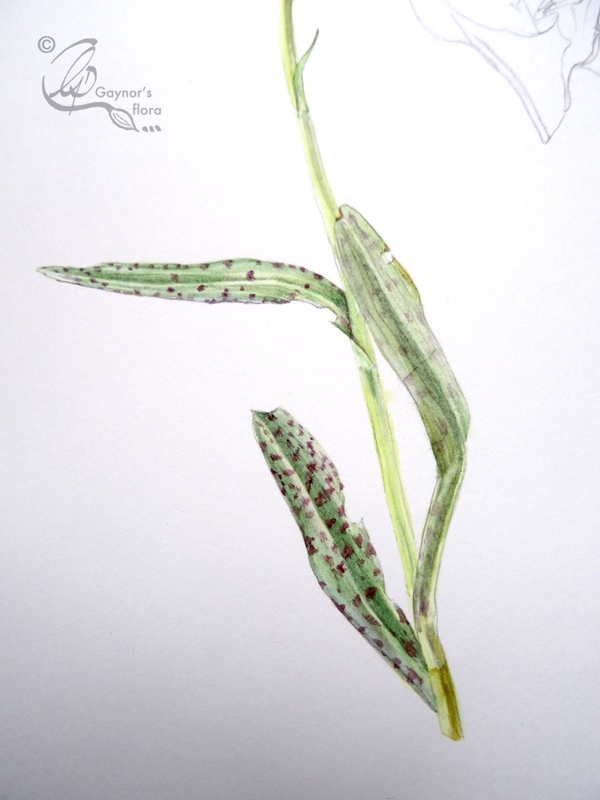 Places on botanical art workshop starting two weeks today. Before I update a little more, there are still a few places on the ever popular botanical art workshop ‘Fruit and Veg’ or ‘Strawberries and Cream’. The last part isn’t intended to paint as we will be eating them. However, there is no reason why shouldn’t reserve some strawberries to paint. Please do get in touch as soon as possible if you would like to attend the workshop, Friday and Saturday 19 & 20 August, between 10:00 and 16:00, including lunch. The workshop is held in Bosham near Chichester. There are plenty of B&Bs in the vicinity and I have a list should you need it. But these days it is easy to find accommodation on the internet. We have a kitchen garden, although not too much in it as we were away during a vital period. We took cucumber plants to my daughter in Norway; she has cucumbers, our plants died! But we do have exciting overgrown radishes, apples on the way and blackberries already here. The runner beans are beginning to produce, but the broad beans are few and far between. Our neighbours got plenty of Raspberries whilst we were away – all gone now, but you never know, some may pop up. I will put a form at the end of this blog so that you can get in touch with me quickly should you decide you would like to join in the fund and games. 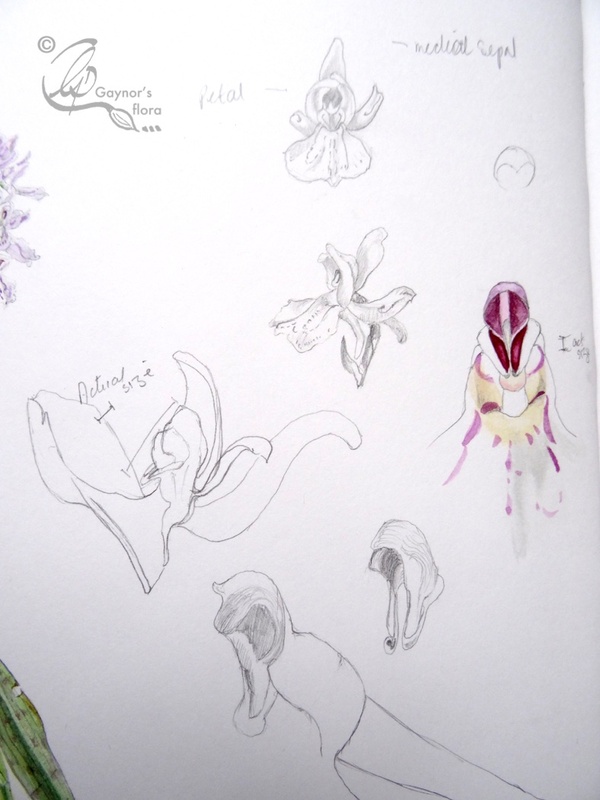 More information and booking form at Gaynor’s Flora workshops. In the last update on 1st of August, I mentioned that I had beens struggling with painting tomatoes in coloured pencil as I was trying out different papers. For my fourth attempt I used my trusty old supply of Fabriano and it is now finished. I will show it to you another time as in reality I only did it as a teaching video for my online botanical art course. I still have to edit the video. I also mentioned our trip into the mountains in Norway and showed you a list of plants that I might do for my next RHS submission. 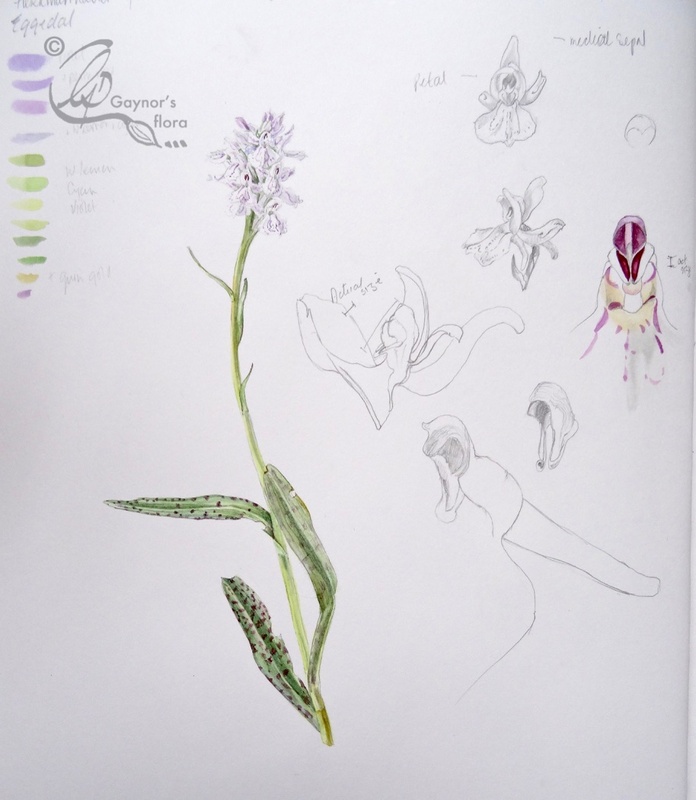 Here are a few sketches of the Heath spotted Orchid from my sketchbook. They are in a Stillman & Bern Zeta sketchbook in watercolour. Get in touch about the workshop in two weeks time. < New home for a picture. Hei Sarah, a place is yours. You obviously need somewhere to recuperate.